As a volunteer at the public school library, I used to be amazed by the sheer number of non-fiction books children could access on the topic of ancient history revolving around historical events, famous characters and heroes. One of the things I greatly enjoyed during those years was helping second and third grade children pick non-fiction titles for their "Ancient Civilization" project. It was an enriching experience for me because it helped me grow my own understanding on the range of books that were available on those topics. 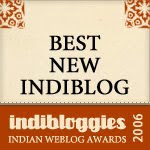 Now living in India, I am constantly fascinated by my eight year old daughter's desire to learn about the people of the past who lived before she was born, triggered by her curiosity about her own family-tree leading to incessant question - what was my great great grandmother's name, how long ago did my great great great grandmother live and much more. Her interest gave me a springboard to jump into exploring history as a topic. 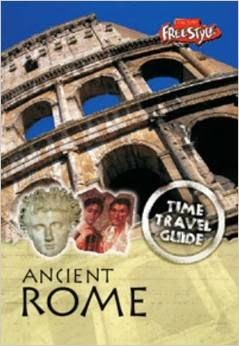 I found Time travel guides from Raintree Publishers to be a useful resource, paving the way for the little one to study ancient history. These guides take the child reader on a holiday to the ancient empire of Rome. The copies we own are from a neighborhood used bookstore in Chennai. Starting with a map of Ancient Rome, the journey to the great empire begins. Each chapter profiles a different topic, including places to visit, fun and games, children in ancient Rome, and facts and figures. Text boxes and side-bars throughout offer interesting tidbits and fun facts. The last chapter is devoted to Roman facts and figures, with a list of useful Latin words ad phrases, festivals and gladiators, Roman Numbers etc. In my view, a chatty, engaging voice is a must for any non-fiction children's book to become a compelling read. The chapter on food and drink and meal-time manners in ancient Rome was the best part for my little girl. "You won't go hungry or thirsty on your visit, as you will find bakeries, bars, restaurants on most city streets...Whatever you choose, be prepared for it to be spiced with pepper, sprinkled with sour vinegar, or smothered in salty fish sauce (garum). Cakes and pastries taste sweet as they have lots of honey in them"
And this, in particular - "When you feel full, it is good manners to belch and break wind." left her in splits. Had we lived in ancient Rome, we'd have done what the ancient Romans did at meal-time was quite a precious thing for the little one to take-away from that chapter. Offering non-fiction on any topic or theme to kids helps broaden their views, exposes them to different concepts and vocabulary, and equips them with information about the world. Categorizing books based on fiction and non-fiction helps children understand the differences early on. Table of contents, index, glossary, captions,bibliography are useful elements of a non-fiction text to introduce to children early on. There are many more such books in the Raintree's Time Travel Guide series that take children through different empires and kingdoms. Brilliant books to learn from and use as research guides, as opposed to dreary history text-books. Why re-invent the wheel when there are these well-written, beautifully illustrated resources available for schools and children everywhere to access is one question I can't help but wonder. Agree whole-heartedly, Praba! Some way to relate those facts to daily life, lacing with appropriate humor to catch kids' attention, plus a friendly conversational tone (and good graphics!) are essential to keep kids engaged in non-fiction books.